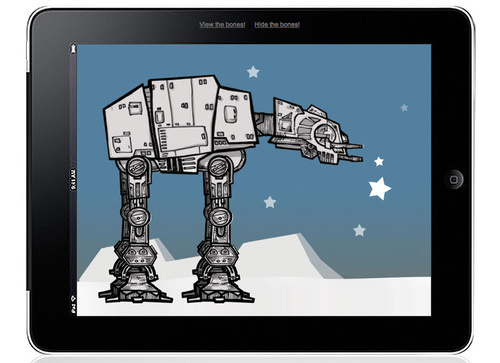 The power of CSS3 and Webkit really impresses me, especially when I see people creating fantastic things like a StarWars AT-AT which looks like it’s moving without using flash. After the announcement of the new Apple iPad last week, and the fact it will not support flash there is still hope for rich interactive content with CSS3 and Webkit. NOTE: Only webkit browsers (Chrome and Safari) can view the animation correctly.